Not long ago, I had a candid conversation with the vice president of a regional senior care facility. "We just can't get away from fax," he told me. Despite having transformed the facility into a paperless office, his team still had to send faxes because many primary care physicians require it. In fact, faxes are a significant part of many small and midsize businesses' operations. A 2017 Spiceworks poll revealed that 90 percent of them still depend on physical and computer fax services of some kind. Many companies are simply accustomed to faxing or have an affinity for paper documents, while others fear switching to email would make their communications less secure. 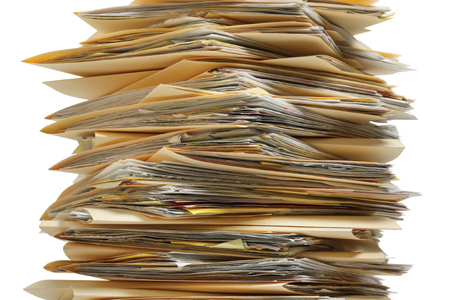 Whatever the reason, many healthcare facilities find it difficult to sever their ties to fax. Change is never easy. But frankly, it's past time to face the facts on fax. With fewer physical records to store and manage, the concept of a paperless office sounds attractive. Yet for healthcare organizations, every dollar counts, so some balk at spending the money necessary to make the transition. Others mistakenly believe that emails can’t be made HIPAA-compliant or that documents still require physical signatures to be legal. Implementing new software does come with a cost. But when it comes to switching from fax to something as simple as email, efficiency improvements recoup that initial expense fairly quickly. The Centers for Medicare and Medicaid Services also incentivize healthcare companies to adopt electronic health records. Cost-efficiency is essential for reimbursement under the Merit-Based Incentive Payment System (MIPS), and its lower overall costs that MIPS considers, not initial expenses. HIPAA compliance is also critical to merit-based healthcare payments. However, the fear that emails can’t be secured is as misguided as the belief that they’re more expensive to use. Emails are naturally more secure because they don’t involve documents that could get lost, stolen, or sent to the wrong place. True, regular emails aren't HIPAA-compliant, but technology made it easy to make them compliant long ago. Emailed documents can also be made legal without physical signatures, thanks to the E-Sign Act of 2000. With the consent of all parties involved, electronically signed records satisfy all statutes, laws, and regulations concerning legal documentation. The misconception that emails aren’t suited to healthcare is glaringly false, but it’s strong enough to stop many companies from giving up their dependence on fax. The concerns some companies have about letting go of fax usually revolve around how the change will interrupt their day-to-day operations. Spending money for new software affects the company’s immediate financial standing, and learning new processes interferes with staff duties. But many of those concerns fall to the wayside with a hard look at the laws and costs. Even though many providers think faxing is simpler, few staff members do. Who likes doing repetitive, monotonous tasks that they feel serve no purpose? In a 2017 Business Advice survey, 16.6 percent of employees admitted that their jobs had become boring and unenjoyable because of such tasks. This resentment can cause friction. Removing that friction by axing fax makes staff happier and improves the workplace environment. The less time team members have to dedicate to pushing paper, the more time they can concentrate on patient care, which makes patients and stakeholders happier, too. On the surface, the tedium of fax may seem better than the challenges of a new system. But no one can deny that storing and keeping track of documents, especially in a medical office environment, saps staff time and increases risk. If even one document is misplaced or faxed to the wrong location, the company has to go to great lengths to fix the problem. Imagine what your office would look like without paper. No file cabinets to maneuver around. No wastebaskets brimming with old paper. No obnoxious, disruptive document shredding. Eliminating fax brings a company closer to being paperless and enjoying the peace of mind that comes with it. 3. A smaller carbon footprint. Everyone can appreciate that going paperless cuts costs, but if that's not enough, think of the environmental benefits. Trashed paper makes up 16 percent of the solid waste in our landfills. If everyone in the world stopped throwing away paper, forests would regrow. Waste management costs would crater. Of course, healthcare is only one industry, and fax is only one source of paper. But it adds up. For example, the senior care facility I mentioned opts for digital documents whenever it can. But because some providers the care company works with use only fax, it still has bins full of shredded paper clogging up its office. The problem with healthcare companies continuing to rely on fax is that they make it more difficult for other providers to let it go. Fortunately, more and more healthcare companies are realizing these benefits by bringing their organizations into the 21st century. May they be a guiding example for our industry and, frankly, our world. Hoala Greevy is the founder and CEO of Paubox, a provider of HIPAA-compliant email services. Paubox’s end-to-end email encryption works on any device without requiring additional apps, plugins, or logins. A serial entrepreneur, Hoala also founded Pau Spam, an email filtering software service. Hoala recently celebrated Paubox’s 1,000th customer by giving away 1,000 spam musubi to San Franciscans and donating funds to Project Homeless Connect. An avid kayak fisher, Hoala holds the world record for the largest caught finescale triggerfish.